If you’re like most, you probably have some, if not all, of these products and foods in your house. But, did you know they could be deadly to your four-legged friend? Find out what items are dangerous and why they aren’t considered pet-friendly to better protect your animal. When pets ingest unbaked bread dough, it expands, ferments, and releases large amounts of carbon dioxide and alcohol into the bloodstream. This process will rapidly cause a bloated and twisted stomach (known as gastric-dilatation volvulus or GDV) and alcohol poisoning. If your pet is showing signs of bloat or GDV including an increased heart rate, distended abdomen, and vomiting or non-productive retching, it is imperative to get your pet to a hospital. As the fermentation produces alcohol, it is quickly absorbed into the bloodstream causing intoxication, dangerous blood pressure, decreasing body temperature, respiratory failure, and seizures. It is also recommended that you follow up with your vet to see if further evaluation and treatment is needed. You may already know avocados are a dangerous food item for pets. However, it’s rarely discussed why they are so deadly. For cats and dogs, the avocado fruit itself is not harmful, but the ingestion of the large pit is. It’s considered a serious choking or intestinal obstruction hazard. For other household and farm yard animals such as birds, rabbits, guinea pigs, cows and more, the danger is from the compound called persin found in the avocado. Persin is extremely toxic to these certain animals causing respiratory distress, fluid around the heart and lungs, kidney and liver failure and sudden death. In pet birds, persin toxicity will also cause the inability to perch. Chocolate is a common human food. However, its dangers for animals are extremely high. Chocolate contains theobromine which is a methylxanthine compound very similar to caffeine. Dark chocolate has a higher concentration of theobromine with baker’s chocolate and baking cocoa offering the largest threats. Pet poison control hotlines report 95% of chocolate consumption related emergency calls and veterinary visits are for dogs. Small dogs often are treated for obstructions due to consuming the wrapper on a piece of chocolate. Signs of methylxznthine poisoning include vomiting, diarrhea, hyperactivity, abnormal heart rhythm, and seizures. Untreated, progressive and severe symptoms can lead to death. 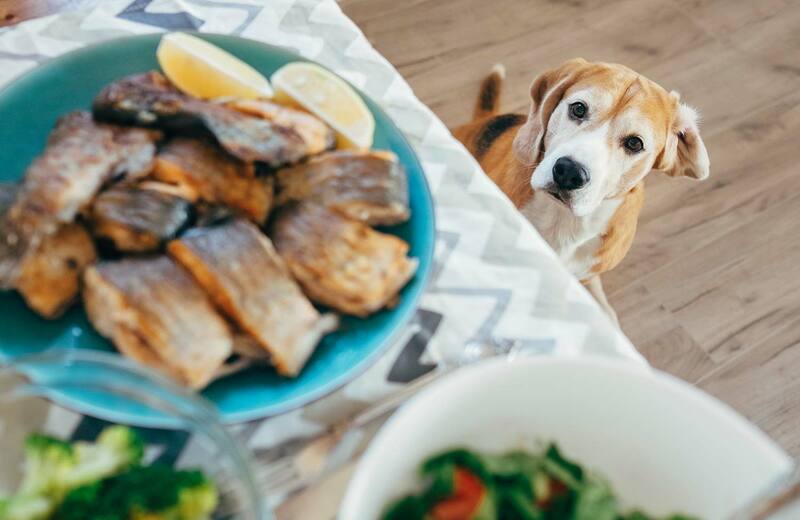 Dogs, possibly cats and ferrets as well, can suffer severe, acute kidney failure after eating any type and quantity of grape or raisin-containing product. Unlike other foods, the toxicity of grapes does not appear to be dose-dependent. Even small amounts can be dangerous to some animals while others are not affected until a very large dose is consumed. Veterinary care treatments will include decontamination through induced vomiting, decreased absorption, activated charcoal administration, kidney function monitoring, aggressive supportive care and intravenous fluid administration. While tea tree oil can provide many benefits for humans, it doesn’t do the same for pets. Also known as melaleuca oil, it is sold in several concentrations with 100% oil. Whether exposed to pets via skin, orally or both methods, the oil can cause an adverse reaction consistent with toxicity. Symptoms can develop within two to 12 hours followed by abnormalities such as depression, lethargy, weakness, incoordination, muscle tremors and increased salivation or drooling, that last up to three days. Less common symptoms include vomiting, skin rashes, collapse and coma. It is recommended to contact your vet to discuss symptoms and determine if further evaluation or medication is required. Many of the laundry detergents used in your home are toxic to pets. Issues typically arise when a detergent spill, liquid or powder, is not picked up immediately and a pet ingests it. For dogs, symptoms usually include upset stomach, diarrhea, lack of appetite and drooling from the mouth. For cats, visible burns on the paws or mouth, drooling, vomiting, lethargy, and respiratory distress can all be present. Prompt veterinary attention is necessary. Liquid potpourri also known as essential oils have become popular in homes, but they also pose a serious threat for your pets. If in reaching distance of your pet, it’s easy for them to irritate or burn their skin or mouth. Even a couple of licks can be harmful. A high intake for dogs can lead to difficulty breathing, tremors, vomiting, weakness, and organ damage. Cats are particularly sensitive to essential oils as they lack some of the liver enzymes necessary to metabolize the oils. Like dogs, they can also irritate or burn their skin and mouth, but higher doses can cause difficulty breathing, walking, lethargy, muscle tremors, burns and more. Even if you live in a non-smoking household, pets still run the risk of picking up dropped cigarette butts when outside or on a walk. Nicotine is a rapid-acting toxin and often pets will show signs of poisoning in as little as one hour. Nicotine gum also poses a threat because it contains xylitol, which a toxic sweetener for dogs. E-cigarette cartridges when consumed, cause severe poisoning, and even worse, death. Pets ingesting small amounts of nicotine often vomit and may self-decontaminate. However, it is recommended to have your pet see a vet for further analysis to ensure no other medication or monitoring is needed. The Gorilla Glue or other expanding glue products you have laying in your garage can be extremely dangerous for your pet. When ingested, it causes a chemical reaction changing the glue into a rapidly expanding foam. This can lead to foreign body obstruction in the stomach and emergency surgery. Gastrointestinal distress symptoms caused by glue ingestion include vomiting, retching, drooling, distended stomach, and loss of appetite. This is an emergency situation and requires immediate care. Regardless of how well you keep things locked up and put away, you must be prepared in emergencies. The key is to act fast, create a pet first aid kit equipped with important phone numbers like Animal Poison Control and your local Pet Wellness Clinic number to reach a medical expert as quickly as possible.